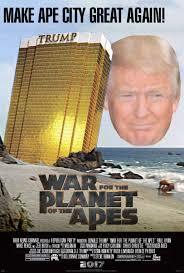 11/19/18 News of Planet of the Apes, with Meria. Florida & Georgia “elections”; Radioactive smoke in Calif; trump vs.Schiff; Bannon/Brexit/trump/Cambridge Analytica; Whitaker; Amazon & ICE; protesting Macron; Pence vs. China; Mueller & trump; trump vs.Acosta; trump lied about Finland’s president; trump slams Navy Seal; Sackler family; CIA on Khashoggi; trump on tape; social media check for a gun? more Democrat wins; 14,056 immigrant kids in custody; HUD; Miss. racist; Ohio fetal heartbeat law; George Conway takes on trump; Avenatti; facebook; Yemen; Dem. shot in face in Alabama; Fixer Uppers anti-LGBT? benefits of CBD; latest on legalization and much more.